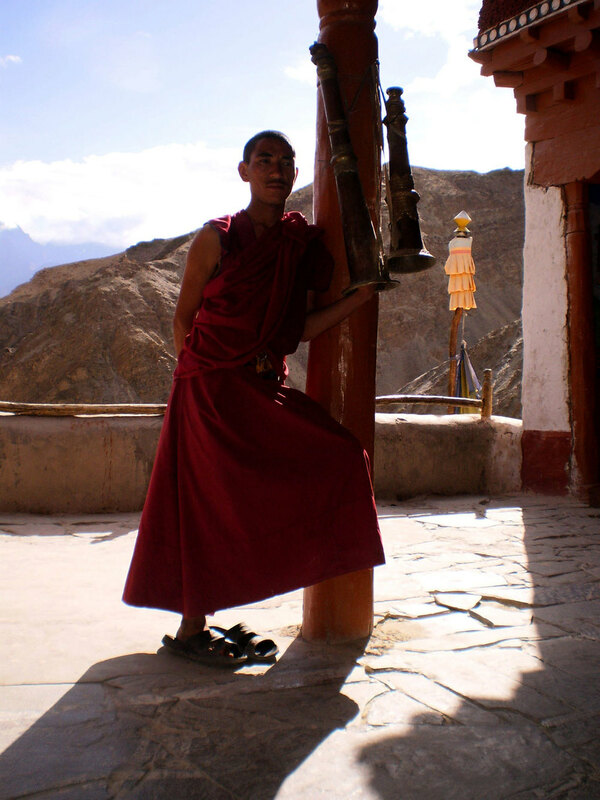 Basic essential information you need to know if you're travelling to Ladakh, and the scoop on some of the places you'll see on your Leh & Ladakh tour. 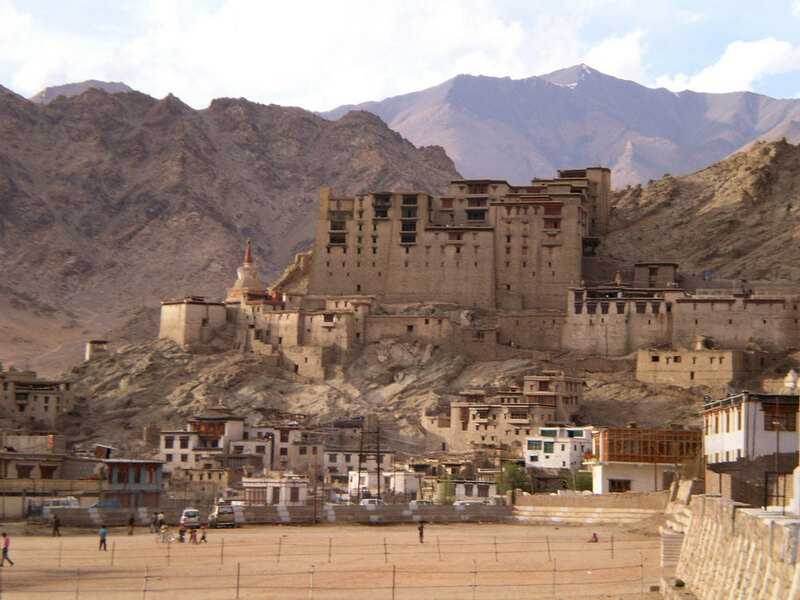 The best time to visit Ladakh is between mid-June to September. The snow melts in most parts except on high mountain ranges and the passes are open. At this altitude a tree is a rarity and you want to hug one when you spot it. But you can see the mountains in all their bare majesty. You’d never believe the colours the stone takes. Years of erosion have sculpted an incredible mountainscape with stark shapes sharp against an incredibly blue sky. 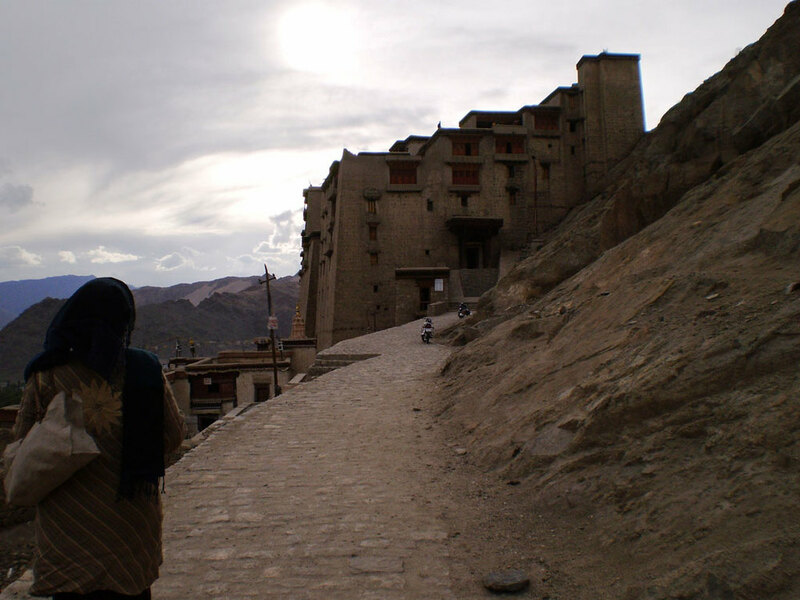 The Ladakhi people are gentle folk who've learned to live contentedly in this severe and mostly barren land. “Julley,” the traditional greeting will invariably produce a smile and a response. Note: The sun’s effect in the day can be rather harsh due to the rarefied air. Make sure to carry your sunblock, sunglasses, hat and plenty of water. 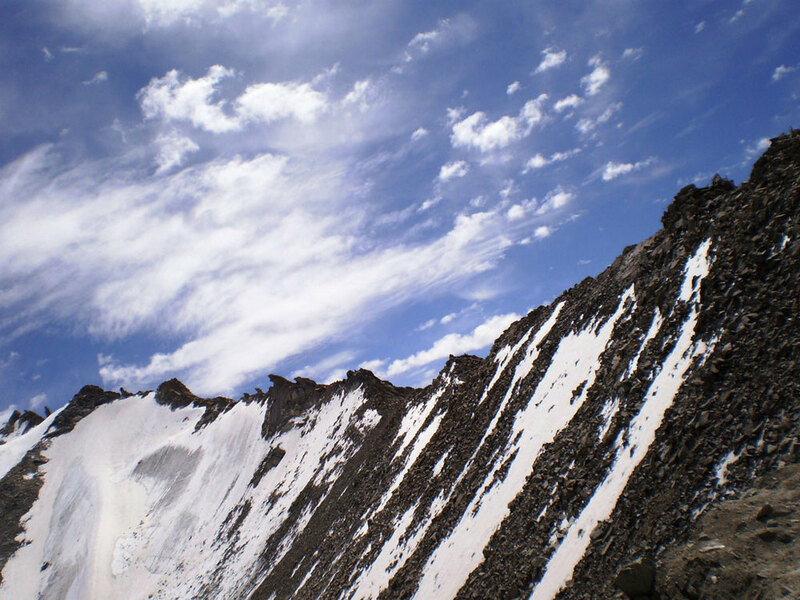 If you’re prone to high altitude sickness, take your pills before driving up the high passes. No alcohol and no smoking would be wise. The weather’s extreme and there’s a huge difference not only between night and day but also between temperatures in the sun and the shade- you could get frostbitten and sunburned on the same day! It is also essential to carry your windcheater, woolen clothing, thick socks, woolen caps, scarves, lip balm and of course comfortable but sturdy walking shoes- and you’re ready to conquer the Land of High Passes! 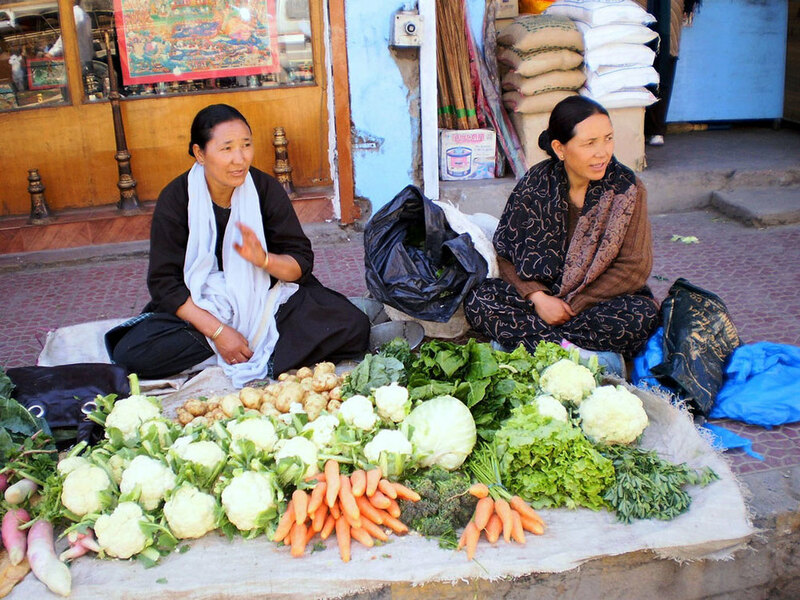 The capital of Ladakh is a busy little town with roadside cafes, local shops selling beautiful thankhas, curios, clothes, jewellery and hand-crafted wooden artifacts and furniture. 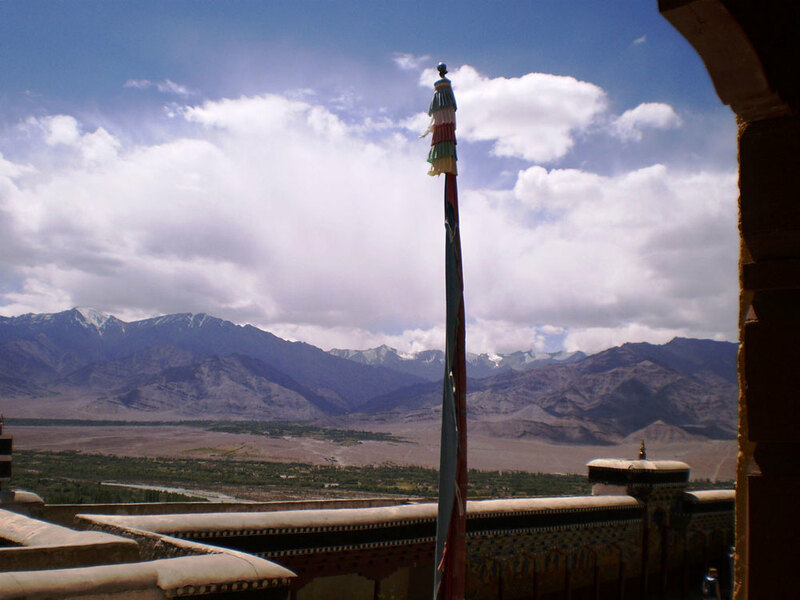 The 16th century Leh Palace is situated here, with the Shanti Stupa and the Sankar Gompa also close by. 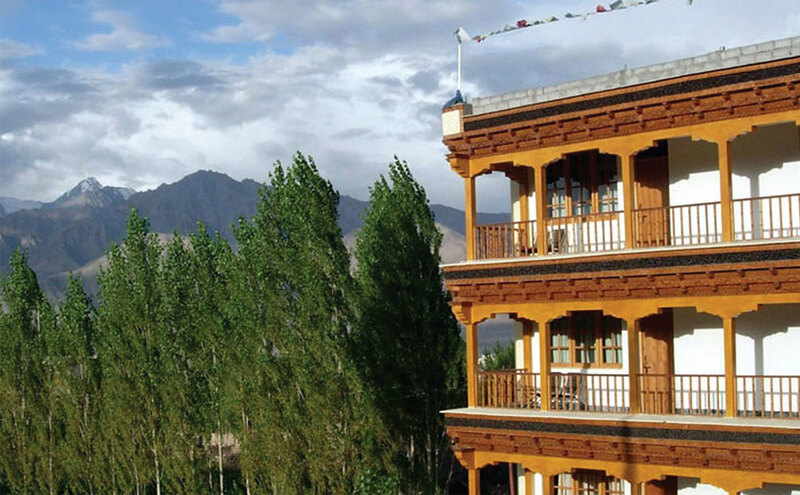 The three famous monasteries of Shey, Thiksey and Hemis are within a 45 km radius. Is 125 km away from Leh. Driving to the monastery is quite an experience- the terrain around here is known as the moonscape- barren sands and craggy hills with deep ravines give the area a surreal look. The monastery itself is at an altitude of 11,600 feet and you can look out and enjoy the view from your vantage point. The main statue here is of the teaching Buddha seated on a lion throne. 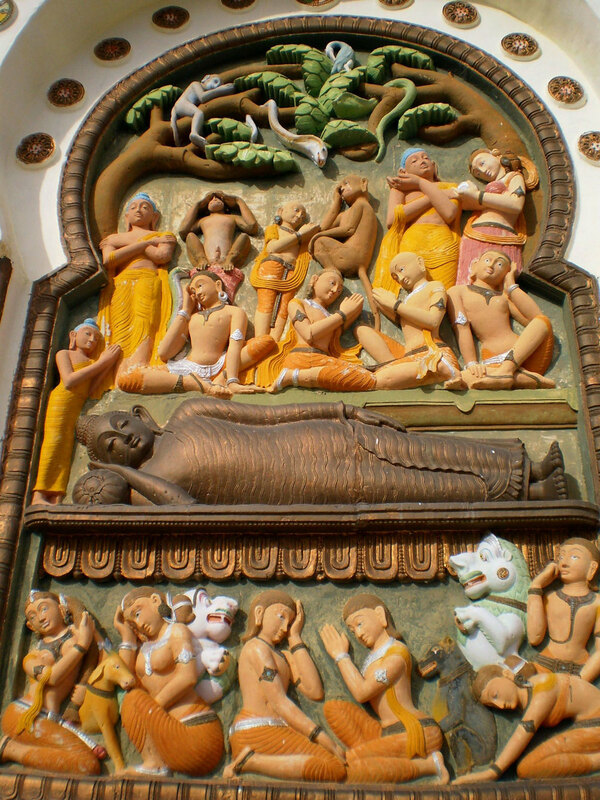 The paintings in all these monasteries are outstanding works of art. 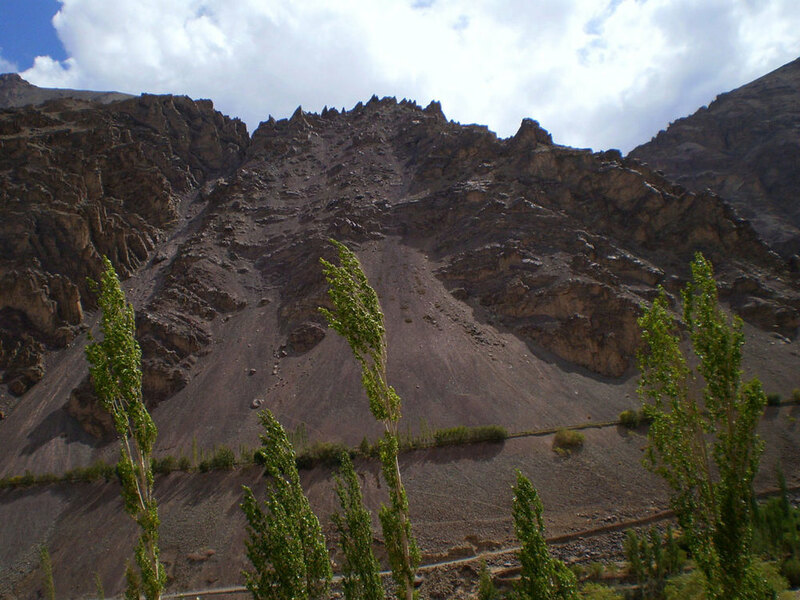 Is about 65 km from Leh, nestled amidst stark, towering mountains. The Alchi camp is a wonderful place to spend the night. It's a warm, cozy room for two with comfortable beds, modern washrooms, a great dining area- almost touching the mountainside- and excellent food. 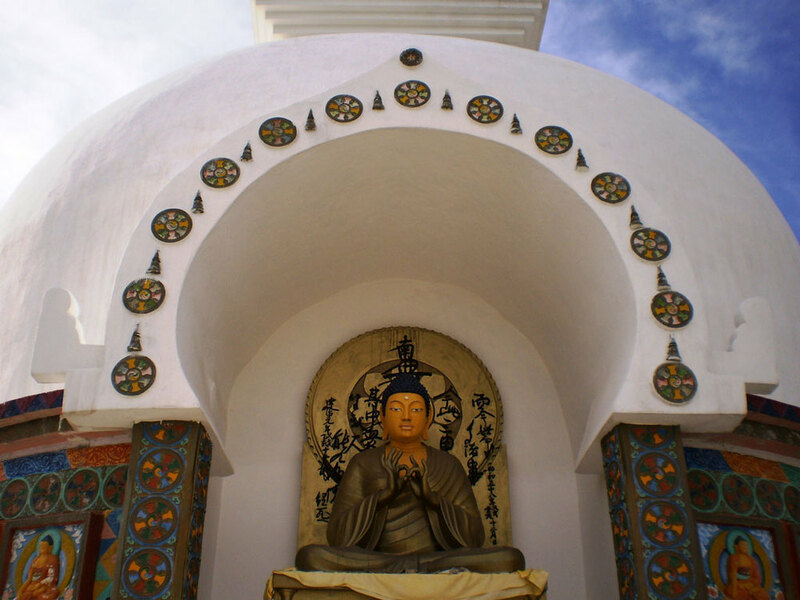 The Alchi Monastery dates back to the 11th century and houses some of the best statues and paintings of the Buddha. From Alchi you can drive to the imposing Rizong Monastery dramatically perched on a mountain with an equally dramatic view of the valley below. 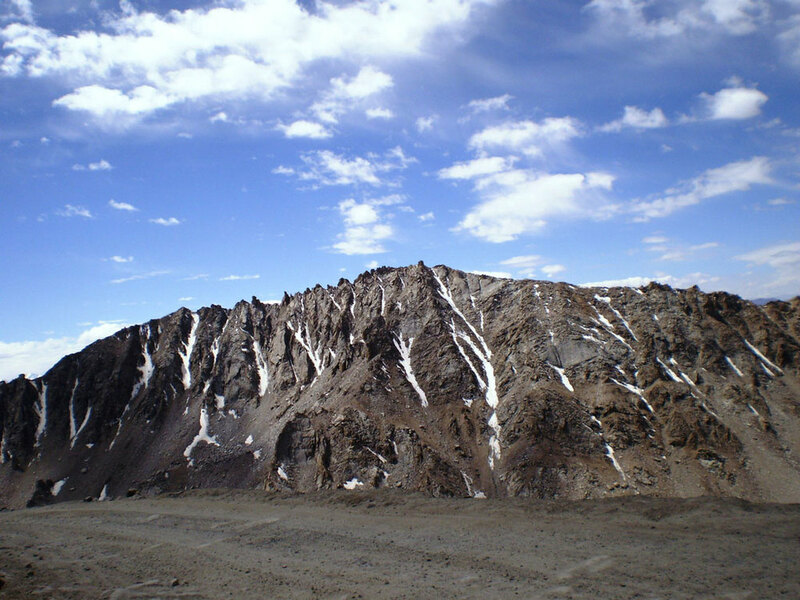 Is the highest motorable road in the world at a height of 18,380 feet just 37 km north of Leh. 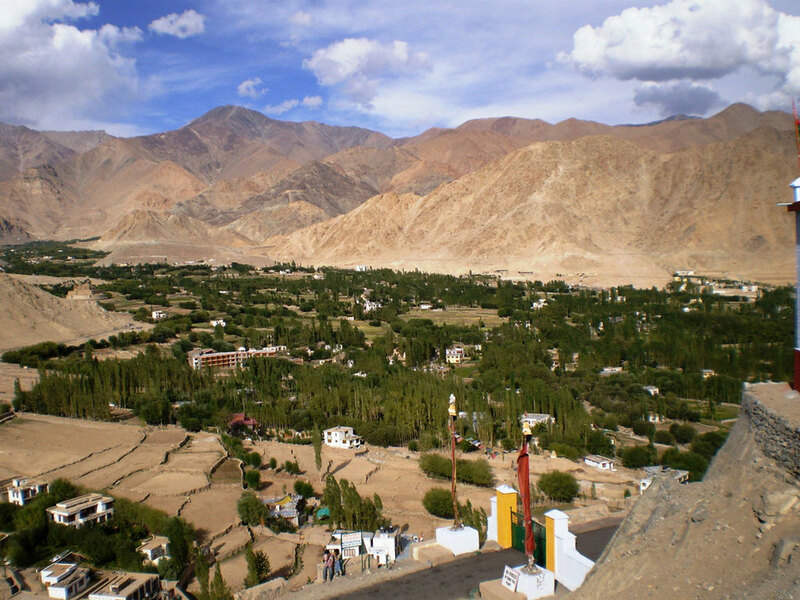 From here you can drive all the way to Nubra valley which was once the ancient route of the caravan trade to Central Asia. 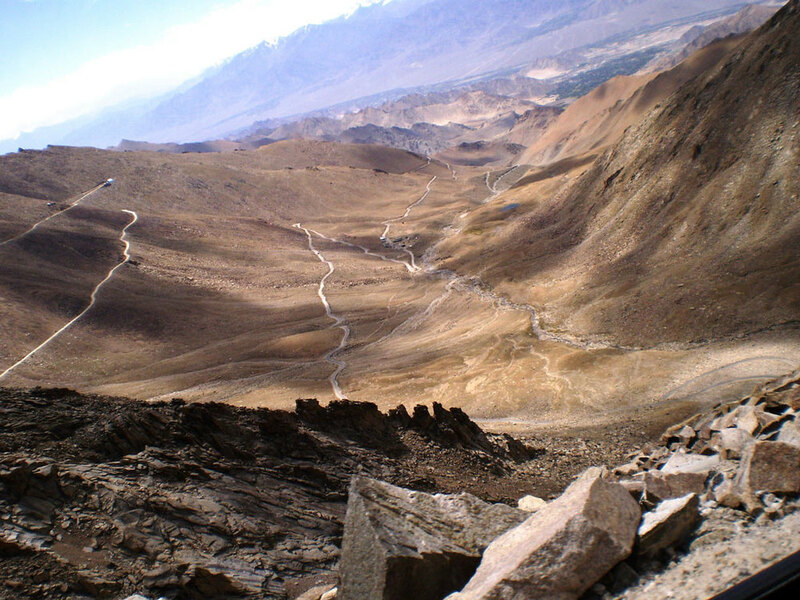 Is 120 km from Leh over the Khardung La with a varied terrain of rugged mountains, forests and desert. The villages have thick plantations of willow and poplar trees; the main village is Deskit with a 500 year old monastery. There are sand dunes here and you can enjoy a camel ride on the double-humped camels. 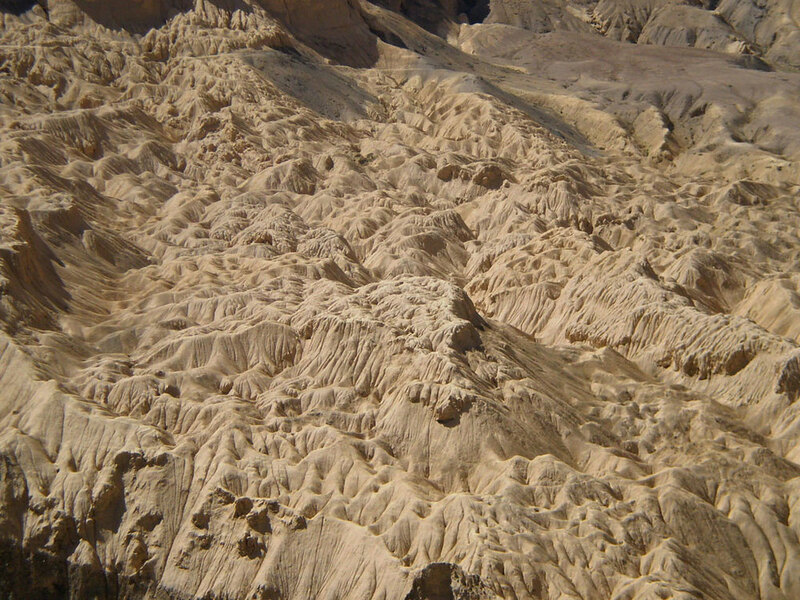 The last village is Panamik which has hot springs reputed to have therapeutic qualities. 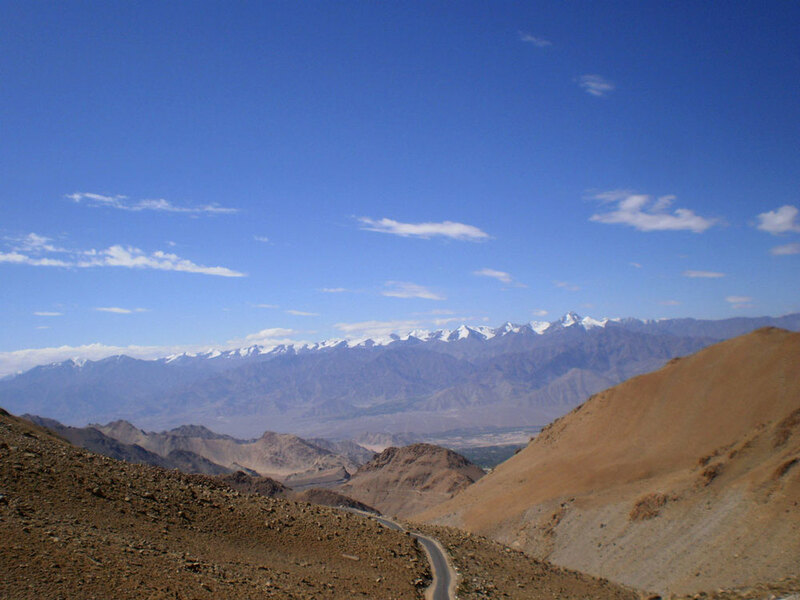 Is 145 km from Leh at an altitude of 14,000 feet over the Chang La Pass which is the second highest motorable road in the world at an altitude of 17,800 feet. You can see snow-capped peaks from up close and the area is cold even in the summer months. 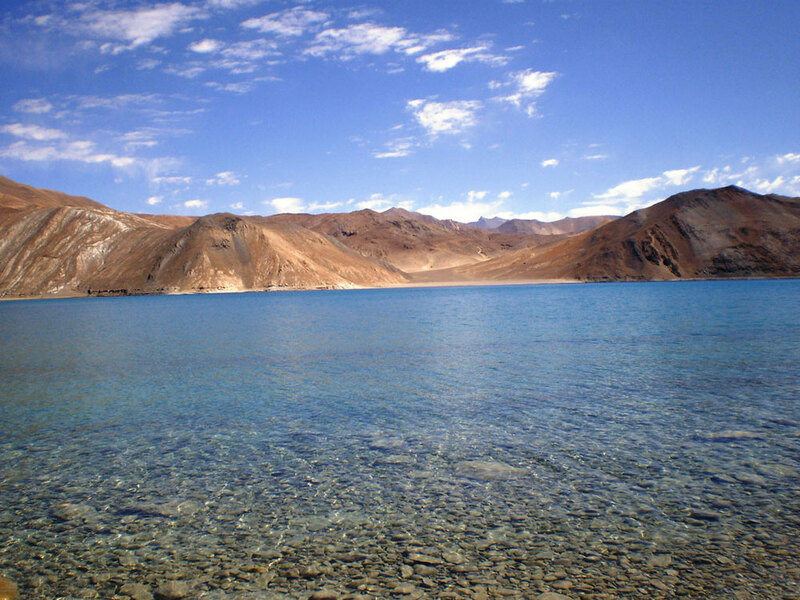 Reaching Pangong Lake is quite an adventure over river beds and high passes. It’s a 5 hrs drive but well worth it as you get the first sight of the huge lake with amazing shades of blue. 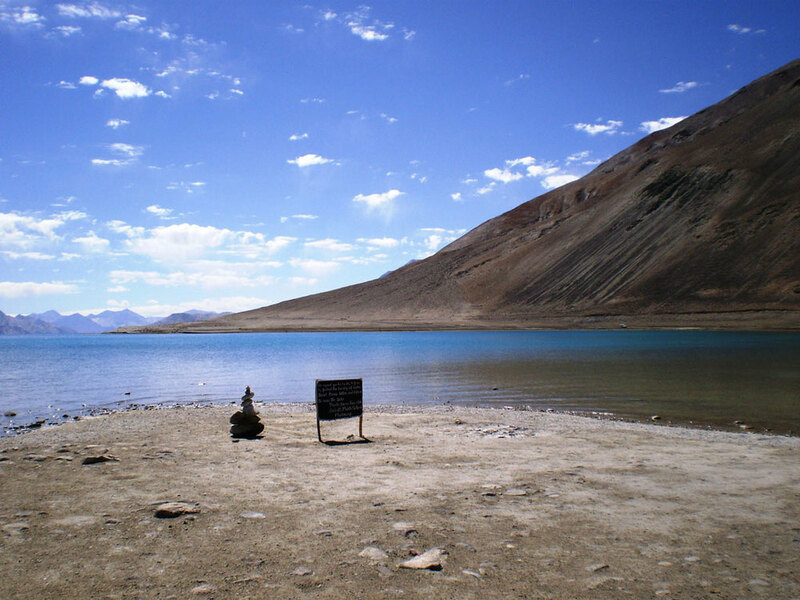 Just one third of the Lake is in India, the rest lies in China. The shimmering shades of blue glitter and sparkle, surrounded by the most awesome mountains. This is an experience that will stay with you a long time.